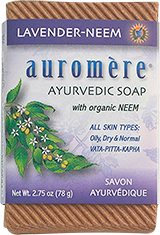 Auromere Ayurvedic Non-Foaming Mint Toothpaste, 4.16 oz. This toothpaste combines 23 different plant ingredients. It is produced in the U.S. The foaming agent in most toothpaste is sodium lauryl sulfate. Omitting this ingredient does not affect the cleaning action of the toothpaste, merely the experience of foaming . . . which is not actually helpful but may take some adjustment in expectations. 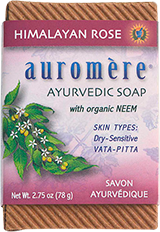 Ingredients: Fine Chalk (a gentle cleanser), Glycerine (from vegetable oil), Water, Herbal extract blend: [Neem (Azadirachta indica), Peelu (Salvadora persica), Indian Licorice root, Pomegranate rind, Common Jujube, Rose Apple, Clove, Persian Walnut, Barleria prionitis bark (Vajradanti), Indian Almond, Bedda nut, Asian Holly Oak, Prickly Ash, Zanthoxylum alatum, Sappan wood, Catechu, Bengal Madder, Acacia arabica bark (Babul), Sarsaparilla, Cinnamon, Medlar bark, Mayweed, Bishops weed (flower extract)], Silica, Carageenan (from seaweed), Cellulose gum (from plant fiber), Peppermint oil, Spearmint oil, Eucalyptus oil, Cinnamon bark oil, Menthol, Thymol, Anethol, Potassium sorbate (Potassium salt), p. Thymol (from Thyme oil). 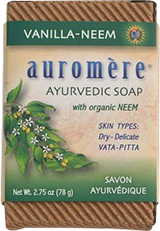 Ingredients: Fine Chalk (a gentle cleanser), Glycerine (from vegetable oil), Water, Herbal extract blend: [Peelu (Salvadora persica), Neem (Azadirachta indica), Indian Licorice root, Pomegranate rind, Commom Jujube, Rose Apple, Clove, Persian Walnut, Barleria prinoitis bark (Vajradanti), Indian Almond, Bedda nut, Asian Holly Oak, Prickly Ash, Zanthoxylum alatum, Sappan wood, Catechu, Bengal Madder, Acacia arabica bark (Babul), Sarsaparilla, Cinnamon, Medlar bark, Mayweed, Bishop's weed (flower extract)], Silica, Sodium Lauryl Sulfate (from Indian coconut oil), Carageenan (from seaweed), Cellulose (plant) gum, Clove oil, Peppermint oil, Spearmint oil, Eucalyptus oil, Menthol, Thymol, Anethol, Geranium extract. 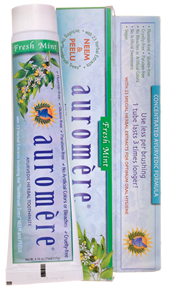 Auromere"s Ayurvedic Mouthwash contains 23 botanical extracts and 9 essential oils that provide support for the teeth and gums. The mouthwash has astringent, antiseptic, antibacterial, purifying and analgesic properties which help prevent plaque formation, ward off cavities, soothe gum inflammation, purify breath and leave teeth feeling squeaky clean. The flavor is minty and zesty. 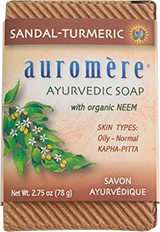 Ingredients: Purified Water, Glycerine (from vegetable oil), Hydrogenated Castor oil, Xylitol (from Birch bark), Essental oil blend: [Anethol, Menthol, Eucalyptus, Mentha arvensis, Mentha piperita, Mentha viridis, Geranium, Cardamom, Clove], Indian Licorice root, Herbal Extract Blend: [Peelu (Salvadora persica), Neem (Azadirachta indica), Pomegranate rind, Common Jujube, Rose Apple, Clove, Persian Walnut, Barleria prinoitis bark (Vajradanti), Indian Almond, Bedda nut, Asian Holly Oak, Prickly Ash, Zanthoxylum alatum, Sappan wood, Catechu, Bengal Madder, Acacia arabica bark (Babul), Sarsaparilla, Cinnamon, Medlar bark, Mayweed, Bishop"s weed]. No Saccharine or Artificial Sweeteners, No Propylene Glycol or Artificial Preservatives, Alcohol-free, Paraben-free, Fluoride-free, Gluten-free, Sulfate-free, Cruelty-free and Vegan. This all natural toothpaste has the famous tooth-whitening peelu combined with neem and 21 other herbal ingredients. There is no fluoride, no saccharin, no animal ingredients, and no guilt! Ingredients: Fine Chalk (a gentle cleanser), Glycerine (from vegetable oil), Purified Water, Herbal extract blend: [Peelu (Salvadora persica), Neem (Azadirachta), Indian Licorice Root, Pomegranate rind, Common Jujube, Rose Apple, Clove, Persian Walnut, Barleria prinoitis bark (Vajradanti), Indian Almond, Bedda Nut, Asian Holly Oak, Prickly Ash, Zanthoxylum alatum (Tejbal), Sappan wood, Catechu, Bengal Madder, Acacia arabica bark (Bahul), Sarsaparilla, Cinnamon, Medlar bark, Mayweed, Bishop's weed (flower extract)], Silica, Sodium Lauryl Sulphate (from Indian coconut oil), Carageenan (from seaweed), Cellulose gum (from plants), Peppermint oil, Spearmint oil, Eucalyptus oil, Cinnamon bark oil, Menthol, Thymol, Anethol. 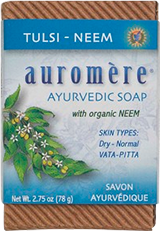 Mint-free Toothpaste with Neem & Peelu, 4.16 oz. This toothpaste is suitable for people taking homeopathic remedies. It is mint-free -- containing no mint, eucalyptus or menthol -- and does not contain animal ingredients, fluoride, artificial preservatives, saccharin or refined sweeteners. It is made with tooth-whitening peelu, antiseptic neem, and 22 additional plant extracts. Ingredients: Fine Chalk (a gentle cleanser), Glycerine (from vegetable oil), Water, Herbal extract blend: [Peelu (Salvadora persica), Neem (Azadirachta indica), Indian Licorice root, Pomegranate rind, Commom Jujube, Rose Apple, Clove, Persian Walnut, Barleria prinoitis bark (Vajradanti), Indian Almond, Bedda nut, Asian Holly Oak, Prickly Ash, Zanthoxylum alatum, Sappan wood, Catechu, Bengal Madder, Acacia arabica bark (Babul), Sarsaparilla, Cinnamon, Medlar bark, Mayweed, Bishop"s weed (flower extract), Silica, Sodium Lauryl Sulfate (from Indian coconut oil), Carageenan (from seaweed), Cellulose (plant) gum, Clove oil, Anethol, Geranium extract. This toothpaste is as natural as one can find It is free of fluoride, gluten, bleaches, artificial sweeteners, dyes, bleaches, animal ingredients and artificial preservatives. It is suitable for those using homeopathic remedies. It tastes mainly of cardamom and fennel. It is not foaming. Ingredients: Fine Chalk (a gentle cleanser), Glycerine (from vegetable oil), Water, Herbal extract blend: Peelu (Salvadora persica), Neem (Azadirachta indica), Indian Licorice root, Pomegranate rind, Commom Jujube, Rose Apple, Clove, Persian Walnut, Barleria prinoitis bark (Vajradanti), Indian Almond, Bedda nut, Asian Holly Oak, Prickly Ash, Zanthoxylum alatum, Sappan wood, Catechu, Bengal Madder, Acacia arabica bark (Babul), Sarsaparilla, Cinnamon, Medlar bark, Mayweed, Bishop"s weed (flower extract)], Silica, Carageenan (from seaweed), Cellulose (plant) gum, Fennel oil, Cardamon oil.